Many people believe that a kitchen is the most important room in any house. At Konstruct Interior Solutions we are inclined to agree. If you feel yours is in need of a makeover, we have decades of experience tailoring kitchens to your requirements and our high standards. We use our many years of knowledge and expertise to transform your kitchen into an aesthetically pleasing and highly functional space. Whether you want the style to be modern, traditional or colonial, we can customise our work around your ideas and offer our own suggestions. If you’re looking for kitchen renovations in Brisbane, Konstruct Interior Solutions will make your kitchen dreams a reality. Our extensive range of renovation services is matched only by the skill and knowledge we bring to every job. We only use fully BSA licensed subcontractors that display the high level of workmanship we expect and know to be reliable. 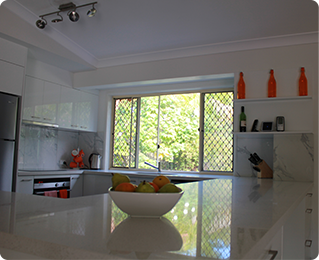 Let Konstruct Interior Solutions take care of any kitchen renovations in Brisbane from start to finish. Brisbane is Australia’s third largest city. Found East of the Great Dividing Range, the city is bisected by the Brisbane River, which flows out to Moreton Bay and includes the popular Brisbane River Beach. Kitchen renovation and design can seem overwhelming if you’re trying to take care of it independently without the help of professionals. Rather than feeling stressed, contact our team at Konstruct Interior Solutions. Together, our founders have more than three decades of experience in the interior design industry. We can assist you with all parts of your project, whether you’re still in the preliminary phases of selecting between materials for kitchens, or are ready to have our team start installing new cabinets as soon as possible, we look forward to delivering wholly satisfying results. 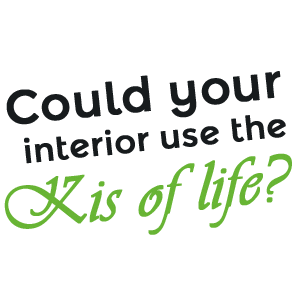 Konstruct Interior Solutions is a Brisbane-based establishment, but we also help clients in areas of the Gold Coast and Ipswich. It’s important to make sure your remodelling project is completed on time and within the confines of your budget. Depend on our highly qualified professionals to keep everything running smoothly so your expectations are met. There is a wide range of materials and colour choices associated with kitchens. It’s essential that any enhancements complement the existing décor, and we can come to you for a consultation. That appointment might offer more peace of mind if you know you’re ready for an improvement in your Brisbane residence, but are feeling a little hesitant about getting started. Contact us today by phone or just fill out our convenient online form. We look forward to using our skills and past experience to help you get an outcome that could make your home more visually appealing and appropriate for the way you live. Don’t wait to start a project that could help you feel more proud of your space.